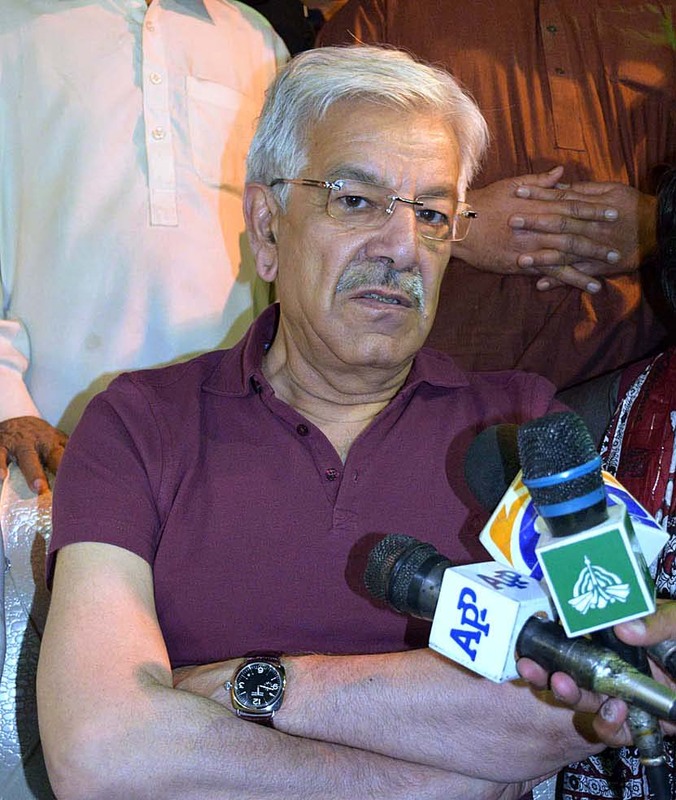 SIALKOT, April 13 (APP):Foreign Minister Khuwaja Muhammad Asif Friday said former prime minister Nawaz Sharif had been disqualified 20 years before but he was voted to power by the people. Commenting on the Supreme Court decision disqualifying him along with others for life under Article 62(1)(f) of the Constitution, he said Nawaz Sharif would again become prime minister with the votes of people. Addressing a Social Media Convention here at Maharaja Road, the minister said Nawaz Sharif had been faced different hurdles during his 35-year political life. All those, who had wanted to force Nawaz Sharif out of politics, themselves stood nowhere. They got ousted Nawaz Sharif from the office of prime minister and as Pakistan Muslim League-Nawaz head, but they could not remove him from the hearts of people. He said nobody would be allowed to discredit the votes of people in next general election. Chaudhary Irmughan Subhani, Iftikhar ul Hassan, Zahid Hamid, Chuadhary Tariq Subhani and others were present on the occasion.